Chris Alexander, Citizenship and Immigration Minister of Canada pledged zealous action to reunite more families in 2014. He also announced that the Parent and Grandparent (PGP) program’s application backlogs will be almost 50% lower by the end of 2013 compared to 2 years ago. Alexander said the Government is keeping its pledge to overcome the enormous backlogs they inherited and reunite families faster. He said that these numbers represent the largest level of PGP admissions in nearly 20 years and are a clear indication of the Government’s promise to family reunification as a primary part of its immigration plan. 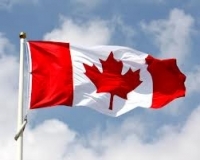 The Government is working on surpassing its commitment to accept 50,000 grandparents and parents to Canada over 2 years (2012 and 2013), and Canada aims to welcome 20,000 more in 2014. The entrance of an additional 20,000 grandparents and parents in 2014 is part of the annual level plan tabled by the CIC (Citizenship and Immigration Canada). The Government reduced waiting times and backlogs for sponsored grandparents ad parents under the Action Plan for Faster Family Reunification. Before that, individuals had to regularly wait 8 years or more to bring their families from overseas. If no action had been taken, it was predicted that by 2015, the backlog would have increased to 250,000 people with waiting time of 15 years. Due to of the Government’s vigorous actions, waiting time is now expected to be only one fifth of that time. In January, the PGP program will start taking in applications again with a cap of yearly 5,000 applications and new eligibility criteria for sponsors. The cap is being started to prevent future backlogs and eliminate the existing backlog. New application forms, instruction guides and soon more information regarding the redesigned PGP program will be made available. Alexander said the modernized PGP program will mean shorter waits and faster processing times. He added that it will also make sure that families have the financial aid to support those they sponsor while protecting the interests of taxpayers at the same time. For parents or grandparents who wish to visit their families who are living in Canada for an extended period of time, the Super Visa is still a popular option. With validity of up to 10 years, the Super Visa allows grandparents and parents to visit Canada for up to 2 years at a time. Till now, around 26,000 Super Visas were issued with an approval rate of 84%.